43 Degrees at the Watchertower, originally uploaded by pamhule. 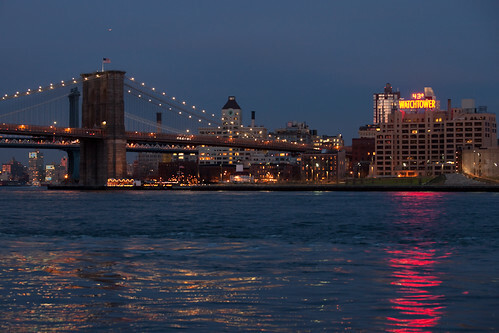 Here's an evening shot of the Brooklyn Bridge and Brooklyn Heights. The aperture is at 4.5 and the focal lengths is 85mm. I like the reflection from the Watchtower building and the light was quite good. But I should have brought a wider lens.